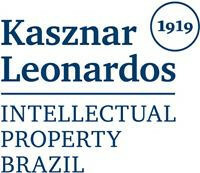 Liz Starling is a partner at Kasznar Leonardos and an attorney at law admitted to the Brazilian Bar Association (OAB) in 1992. She is a registered industrial property agent who acts in the practice areas of domain names, copyrights, digital law, personal information, geographical indications, litigation and dispute resolution. Ms Starling has a law degree from the prestigious Federal University of Rio de Janeiro (1992). She also has a postgraduate degree in IP rights from the renowned Pontifical Catholic University of Rio de Janeiro (2000). 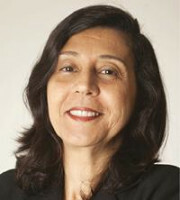 She holds certificates on specialisation courses in IP law, Brazilian civil procedure and IP litigation at the Brazilian Association of Industrial Property Agents (ABAPI), OAB Rio de Janeiro, the International Trademark Association (INTA) and the School of Magistrates of the State of Rio de Janeiro. Ms Starling is a member of several associations, including the Brazilian Association of Intellectual Property, ABAPI, INTA, the Inter-American Association of Intellectual Property and the American Chamber of Commerce of Rio de Janeiro. Ms Starling has been a member of INTA’s Trademark Office Relations Benchmarking Subcommittee (2004-2008), Enforcement Committee – Opposition Cancellation Standards Procedures Subcommittee (2008-2011) and Famous and Well-known Marks Committee – Latin American and Caribbean Subcommittee (2011-2013). Ms Starling speaks fluent Portuguese, English and French.